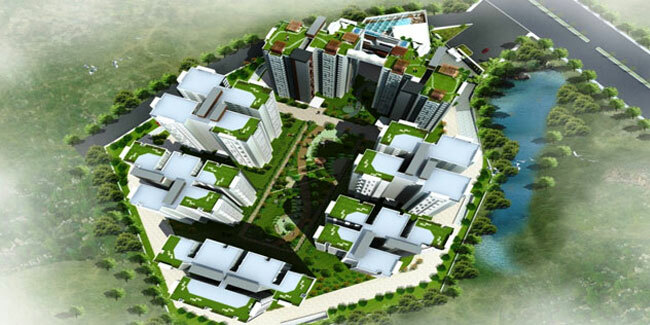 Details: The residential project is coming up at Gachibowli, Hyderabad spread across 8 acre of land. The project offers 7 towers with G+5 floors, having 372 units of 3 & 4 BHK apartments. Apart from the basic amenities, the project offers lawn tennis court multipurpose hall, basketball court, jogging track, cctv camera security, squash court, swimming pool, billiards, etc.